As you might have guessed from my most recent snaps (HinHH on Snapchat, warning there are also a lot of cat snaps), I am finally learning how to sew! I am so excited. I have always wished I knew how to sew. I actually started learning with a friend just before I left Florence, and my friend Kelly in Tampa has agreed to continue my lessons. I am also supplementing these more formal lessons with a lot of DIY YouTube tutorials. Seriously, you can learn so much with just YouTube. Now you might be wondering how I have time for this, you know with my dissertation, Etsy store, teaching/grading, and blogging (I am tired just typing all of that). I don't have much free time, but I am trying to replace my mindless TV watching with sewing (and TV watching lol). I think it will be a better outlet for me and exercise the other half of my brain (sewing is actually a lot of engineering and math lol). 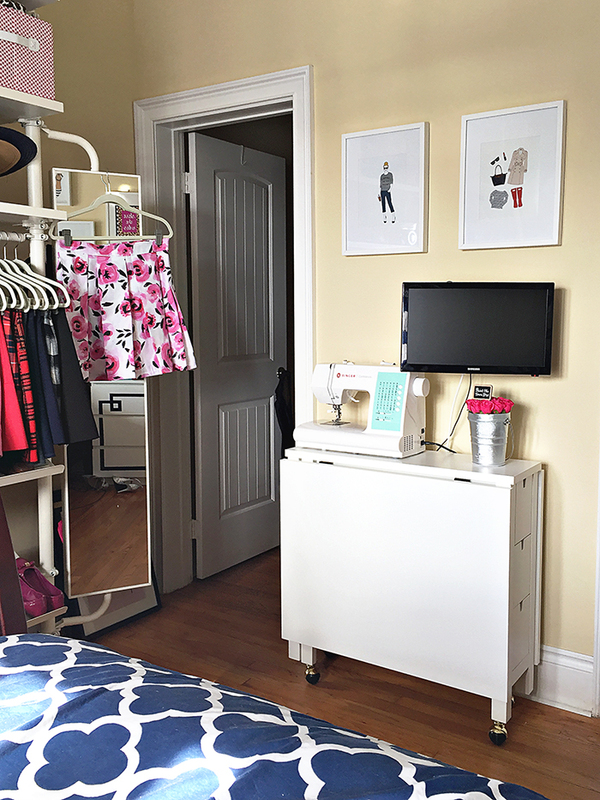 I was so lucky and scored this amazing Singer Sewing machine, at Home Goods of all places, for just $129! 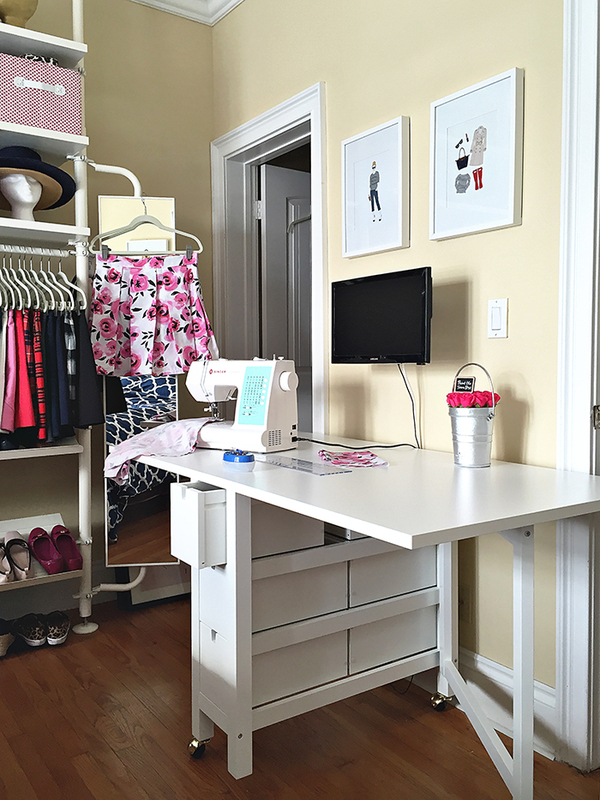 The hardest part of learning to sew was finding the space I needed to do so in my tiny apartment. Once again, IKEA to the rescue. I saw this folding table and knew it was perfect. All I had to do was assemble. 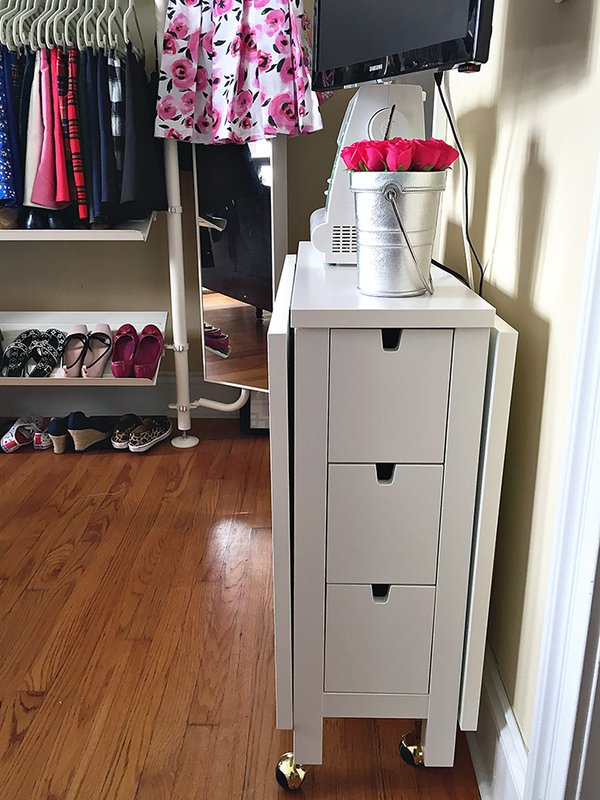 I added some casters to the feet to make it even more small-apartment friendly. It takes up virtually no space when folded down and fits perfectly under my TV in the bedroom. 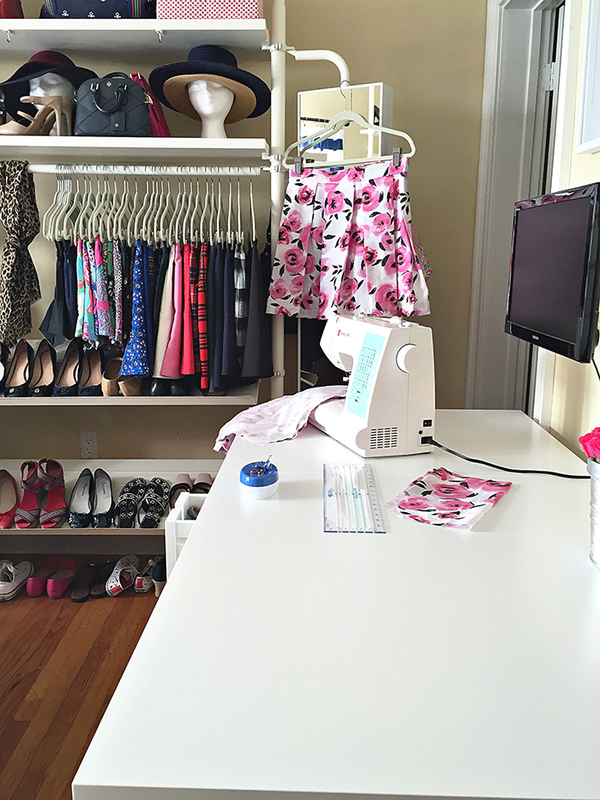 But when I need to work, it folds out into a massive table, which is perfect for placing and cutting out patterns. It even has pretty good storage for its size. So far, I am able to fit all of my sewing accoutrements in the six small draws. 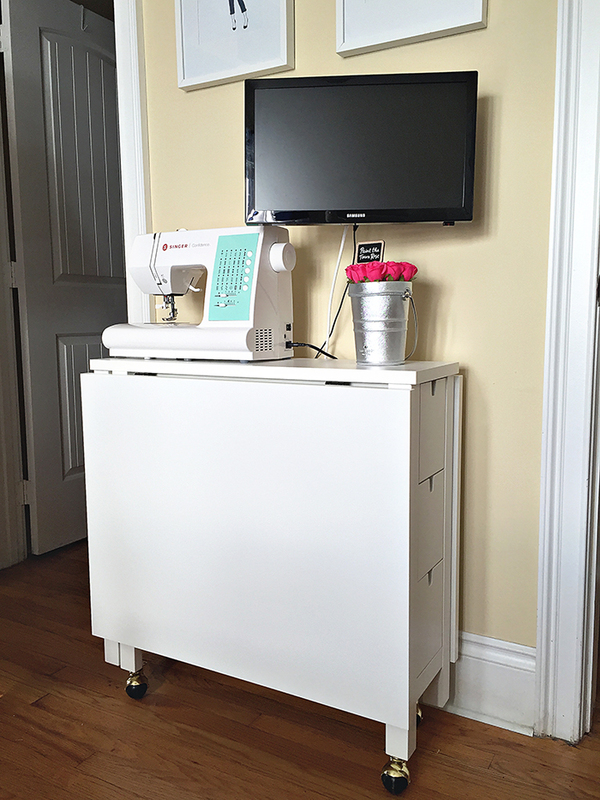 So what do you think of my new sewing table? 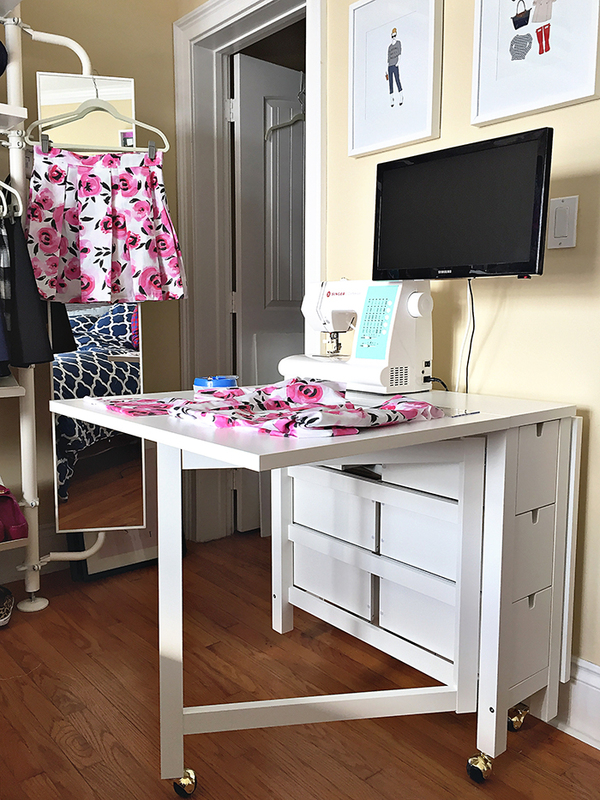 If you are learning or know how to sewing and looking for a really practical table (or craft table in general) I highly recommend this one! I will be sharing more on my first successful sewing creation soon (hint: you can see it in these pics)!